What everyone has long assumed, was once again confirmed during a meeting of European Ministers in Vienna to discuss the issue of immigration. Ms Merkel’s 2015 plan to open the borders for African and Middle Eastern immigrants were simply put in place to guarantee a replacement for the ‘aging’ European population. Germany for one is seeing a population decline and is in dire need to replace its own populace to keep social benefits and pensions payable in the future. As the EU tries desperately to get Italy, it’s 4th largest economy back on board in terms of immigration so that this plan remains on track, the discussions are becoming ever more heated. 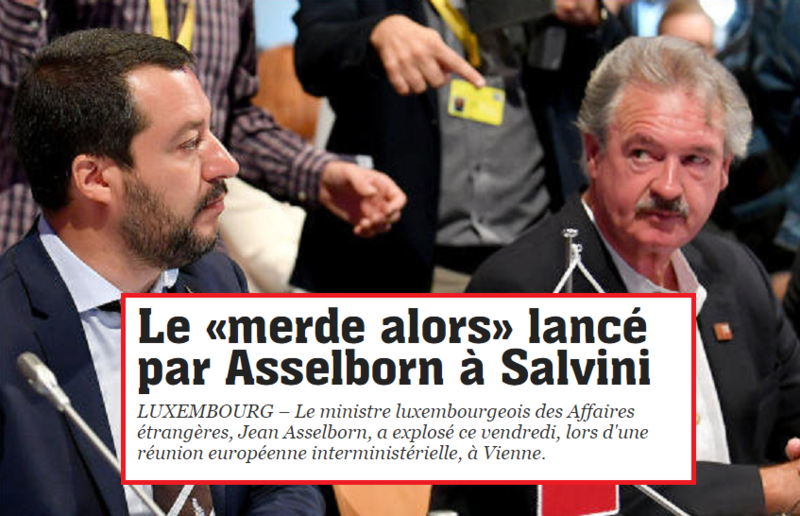 The EU attempted to hide the latest exchange between ministers, but Mr Matteo Salvini had one of his aides tape the exchange and posted the video on social media afterwards. Right, because the recent years of mass migration of African youths is working out so well for the world so far  Merde alors! these people should be locked up.